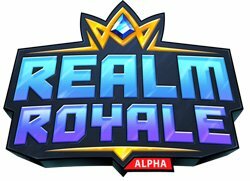 Welcome to our Realm Royale Forge How To Use Guide for Nintendo Switch and PC. You can view our complete guide on how to find and use shards in Realm Royale to craft Legendary Weapons and Abilities. First things first you need to know what a Realm Royale Forge Looks like. You spot one of these using your map a Yellow Icon of an Anvil will appear. The Realm Royale How To Use Shards Guide will explain what you can spend your shards on and how much each will cost. This Forge Guide will apply across all platforms this game is available on PC and Nintendo Switch. 1x Chicken 60 Seconds Receive a random Weapon of Legendary Rarity. 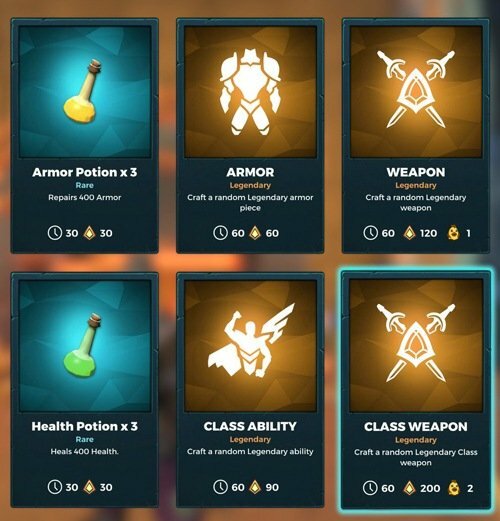 The number of shards you will receive from disenchanting weapons, armor and abilities will depend on its rarity. You do not need to stay and wait for the Item Crafting to complete, but it is best to stand nearby so someone else does not take it. The players who crafted the item has a 10 second timer to pick up their Forge loot before a teammate can pick it up and take it from them. Expect a lot of action around Forges, similar to an Air Drop in other Battle Royal Games. When a forge is in use it will release smoke at the top of the building, singling to other player someone is currently forging an item. You will receive a 1x Chicken Drumstick when you kill someone. 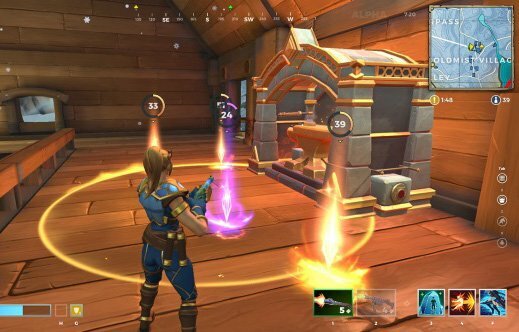 The best way to get Shards in Realm Royale is through Disenchanting Weapons and Abilities. keep in mind once your Disenchant the Weapon or Ability will be gone for good. The best way to find Weapons and Abilities is within Chests. Hover over the item/ability and use the Disenchant Key Bind. You can only hold a maximum of 200 shards at one time.